Miss Universe 2018 candidate from Philippines Catriona Gray flies to Thailand for the most-awaited beauty pageant in the whole world. Before the start of the pageant, the Filipina beauty queen has been doing her advocacy. During the send0off party for her and Miss Supranational Philippines 2018 Jehza Huelar, Catriona said that she spent a day with the children in Tondo for her charitable endeavor. Her recently-released song, We’re In This Together for the Young Focus PH, was hailed number one on iTunes in the Philippines for just a day. Its music video also touched the hearts of the YouTube viewers. This and with her beauty, heart, and wit, Catriona Gray flies to Thailand to represent her country in Miss Universe 2018. She happily announced on her social media account she is set to start her big step to the crown. “Off to Thailand to represent my beautiful country the Philippines in @missuniverse ✨🙏💙🇵🇭🇹🇭 Philippines, mahal kita. I hope to make you proud,” the Fil-Aussie beauty said. Catriona also showed off the Philippine flag in her photo. If the luck is on her side, Catriona could be the fourth Filipina beauty queen to have the Miss Universe crown. 1969 was the first time that the Philippines got the title through Margie Moran. Next to her, is Gloria Diaz who was crowned Miss Universe 1973. The recent one who brought pride to the country is Pia Wurtzbach as she was hailed as the Miss Universe 2015. 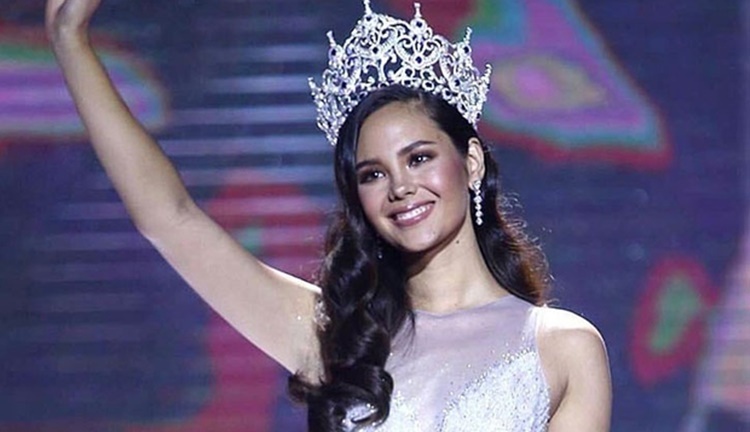 Will Catriona Gray be the next Filipina who will wear the most prestigious beauty pageant crown? Keep visiting this site for more updates about Miss Universe and other beauty pageants.